Use the best quality ingredients to make this simple salad sing with flavour. Boil a kettle. 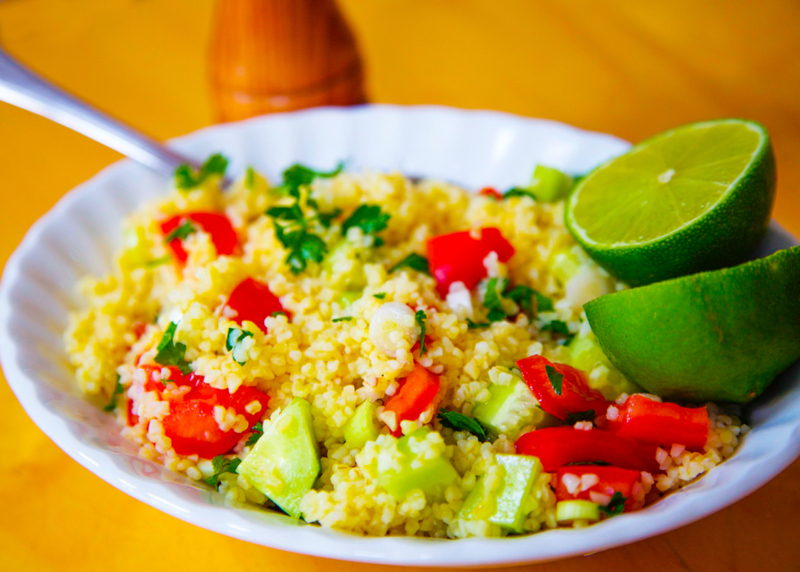 Put the couscous into a bowl. Add 250ml of boiling water and the oil. Stir, cover and leave to rest for 5 minutes. Meanwhile, wash the tomatoes, cut into quarters, remove the seeds and dice the flesh. Peel the cucumber, cut in half lengthways and remove the seeds. Chop into small pieces. Trim the spring onions, discarding the tougher green end and the outer leaf. Finely slice and rinse under running water. Wash and finely chop the parsley. Add the chopped vegetables to the couscous. Squeeze in the lime juice and season with salt. Stir well and serve.